As everyone returns from their summer holidays and children go back to school, September has provided a stark reminder that winter is on its way. It has felt decidedly autumnal at times over the last few weeks. For those of us who work in the maritime industry this should also serve as a reminder that winter conditions will soon make working at sea more hazardous and increase the strain on equipment. Aids to navigation can take the brunt of winter storms and poor visibility at sea makes it vitally important that they are in top condition. Therefore we have some homework for you to do if you’re responsible for the maintenance and operation of aids to navigation – be it in a harbour or port, or offshore. 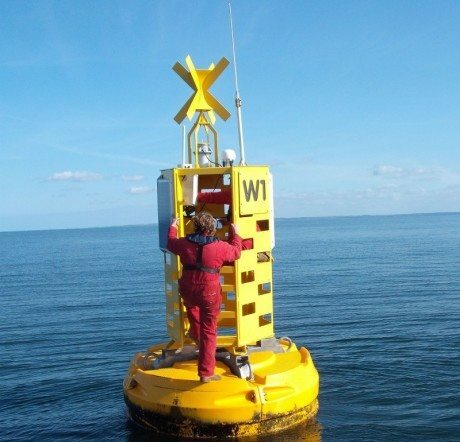 Inspect navigation buoys for any unreported damage, wear and tear, and also the build up of any organic material. Cleaning and repairing now will increase longevity and reduce the chances of winter casualties. If you require replacement navigation buoys, we have had excellent feedback on the Mobilis JET 9000 and JET 8000 buoys. Navigation lights not only need to be working, but also emitting light at the correct intensity. Deposits on the light casing can affect the beam and reduce its effectiveness, and therefore cleaning may be required. A general inspection should also include the testing of all components and checking for water resistance. If you have old navigation lights it may be time to replace them with new LED models such as the Vega VLB-1 SS, a high capacity LED suitable for small buoys and piles. As with any buoy, a general inspection to ascertain the condition of the platform is needed, maintenance to repair damage and a jet wash is advisable to remove debris and organic build up. All data equipment should also be inspected to ensure that it is functioning as designed. GPS monitoring equipment could be installed at this point to allow remote monitoring of sensors during the winter months. We would also recommend assessing whether the data buoy is fit for purpose. Is it able to support the equipment payloads, and is that equipment secure and protected? If the answer is ‘no’ you may like to explore other options such as the Mobilis DB14000, which is designed for meteorological and oceanographic data collection. Perhaps the most important components of your aids to navigation are the chains and moorings that keep them in place. Maintaining and replacing navigation buoys without inspecting the mooring system could result in casualties and expensive remediation costs. All chains and moorings should be inspected for damage and wear and tear; and shackles, swivels and their components also inspected. If you require replacements, we can supply mooring systems either for purchase or for rent. We know that doing your ‘homework’ and inspecting your aids to navigation can sometimes result in some unpleasant surprises if equipment needs replacing. To help manage budgets there is an alternative to purchasing replacements outright, which is to rent. This is also an excellent solution if you have a temporary requirement.